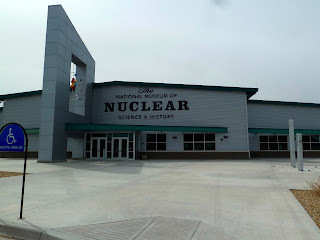 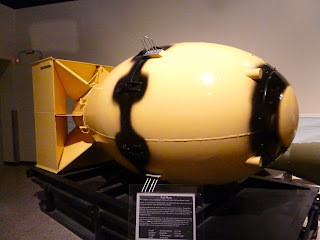 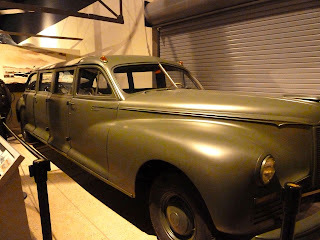 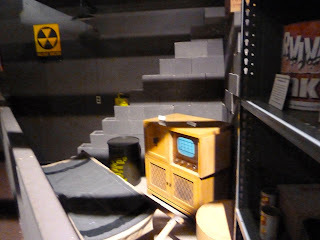 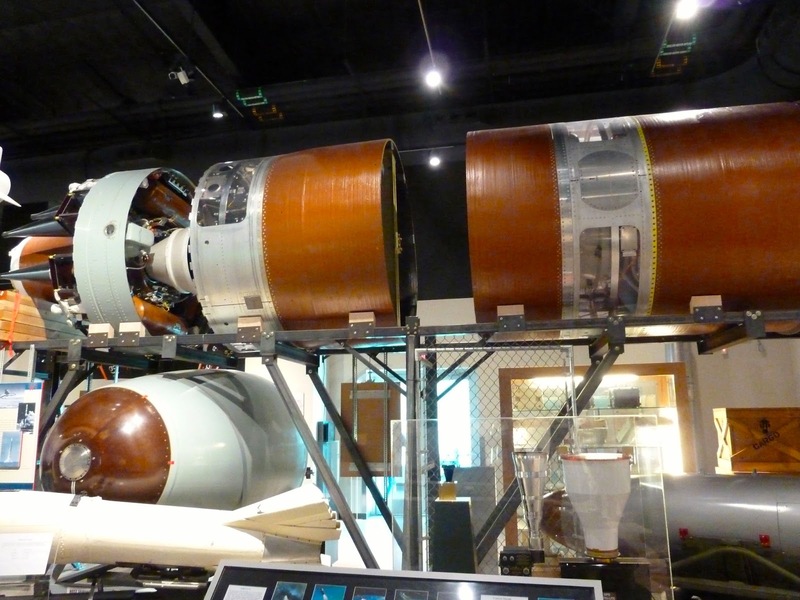 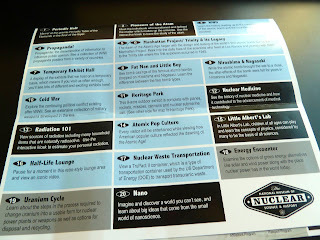 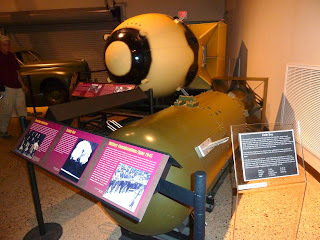 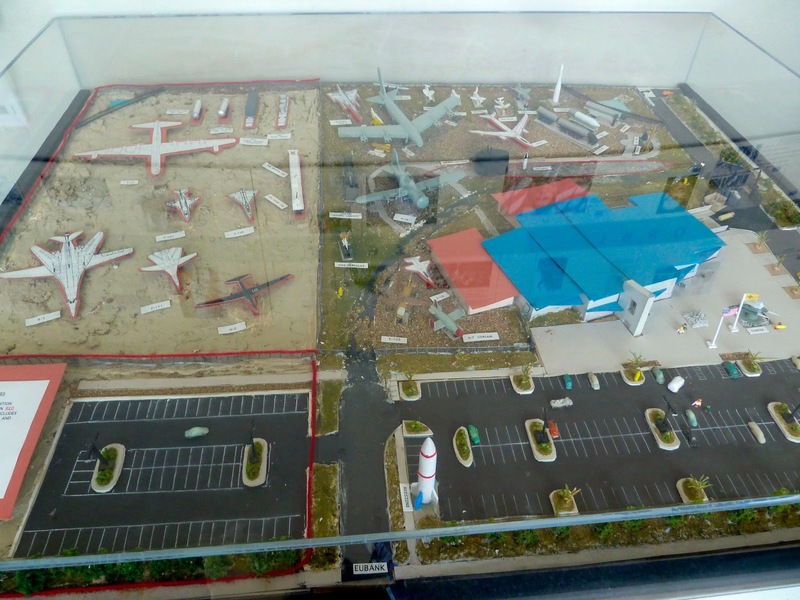 Our intent today was to tour Old Town, but after getting an air filter from NAPA for the Bounder and having them check air conditioning in Malibu which needed Freon, the weather became cloudy so we decided to tour the National Museum of Nuclear Science and History. 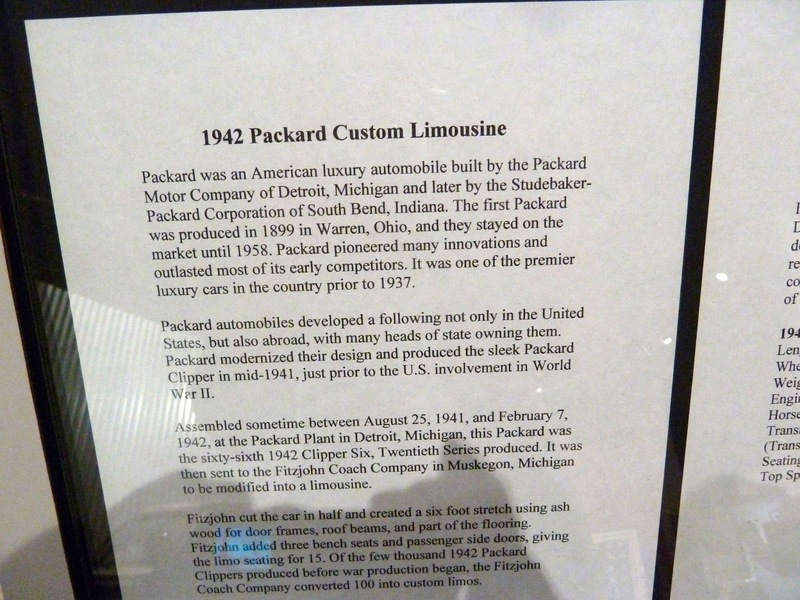 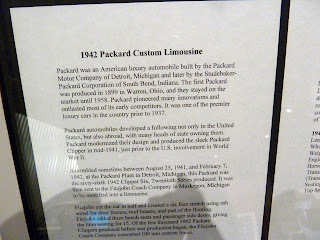 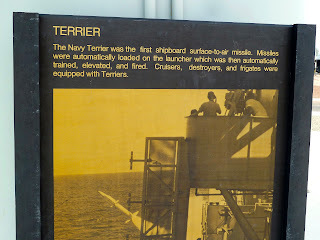 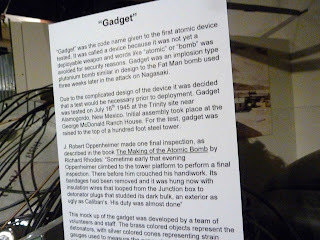 This is beyond my intelligence and understanding, but they did have some interesting exhibits. 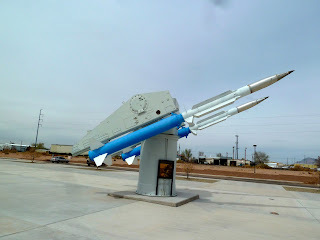 It is located just outside the Eubank Gate. 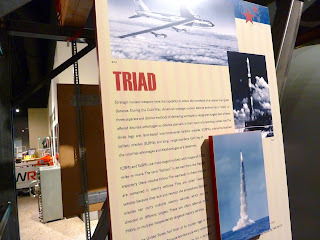 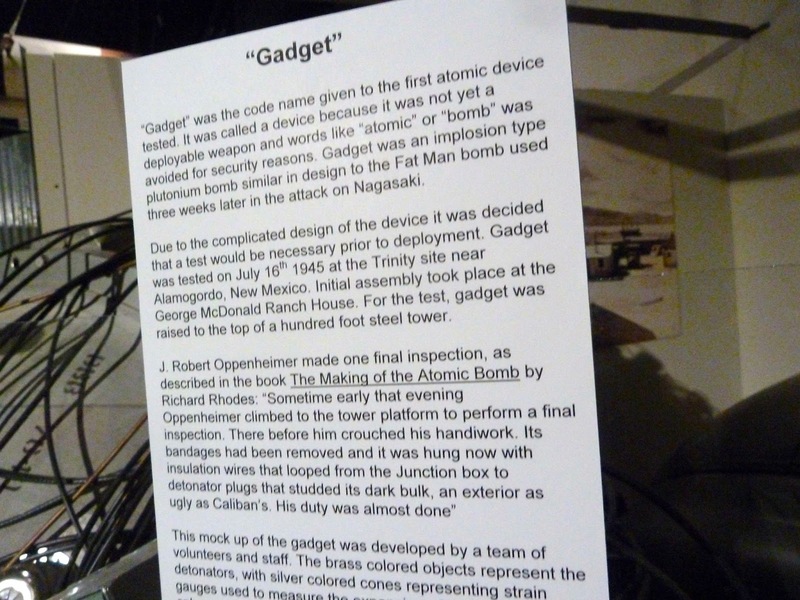 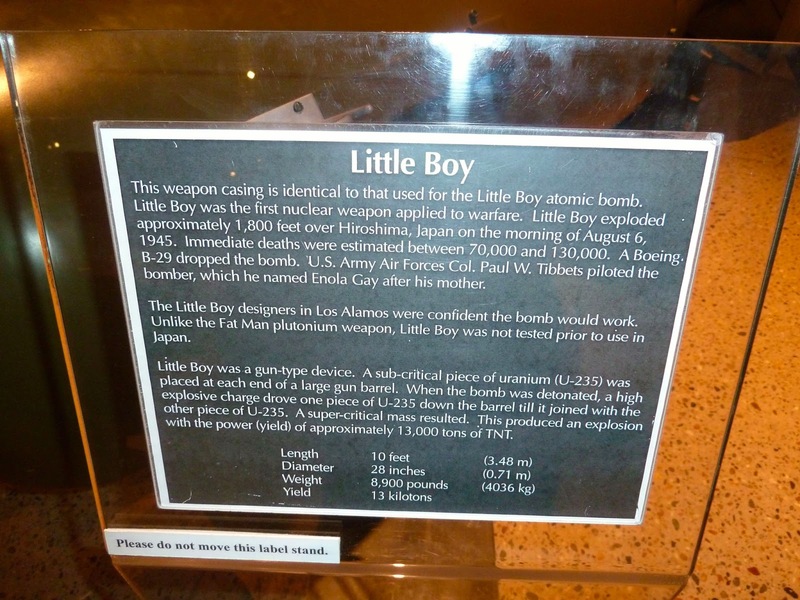 The museum was originally established in 1969 as the Sandia Atomic Museum. 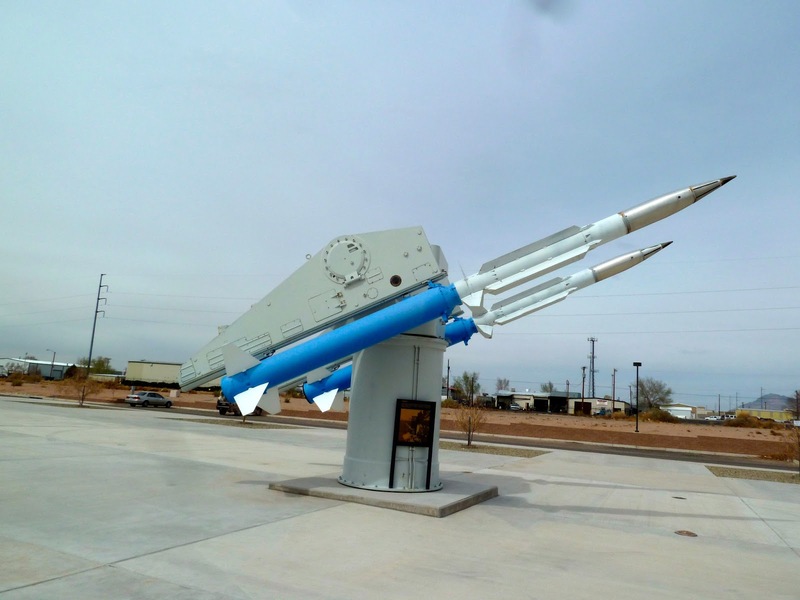 Due to heightened security the museum closed its doors on Kirtland AFB and is now located on Eubank next to the base. 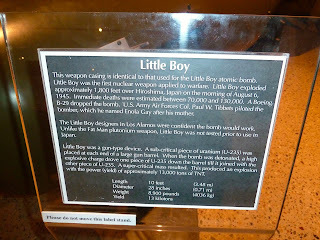 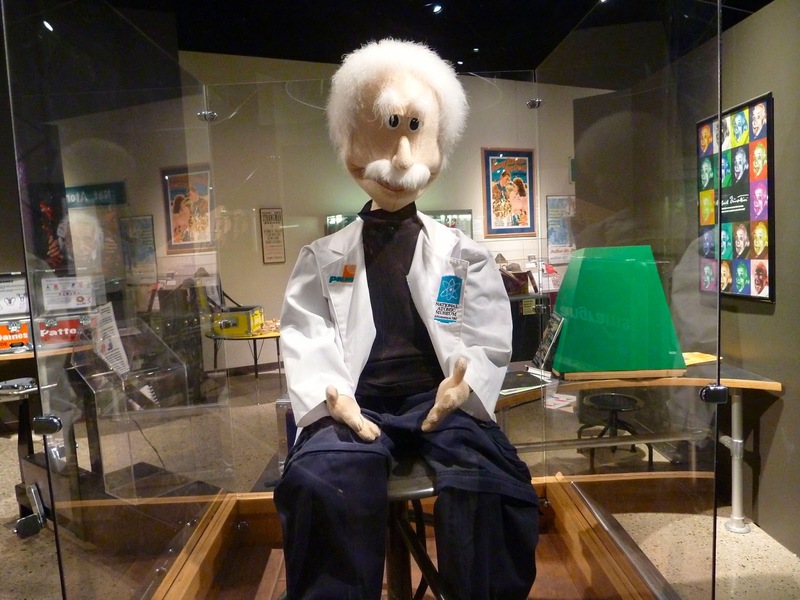 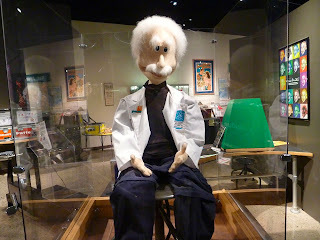 It is a Smithsonian affliliate and the the only national museum in New Mexico. 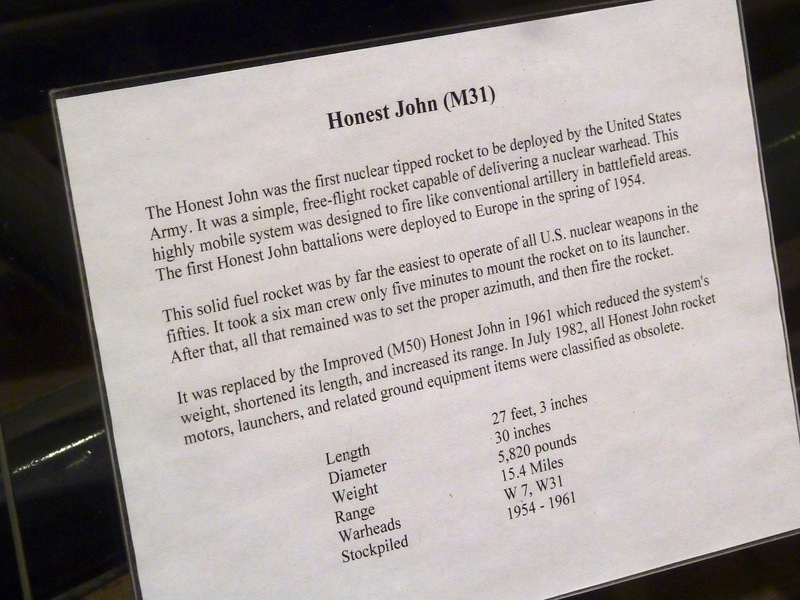 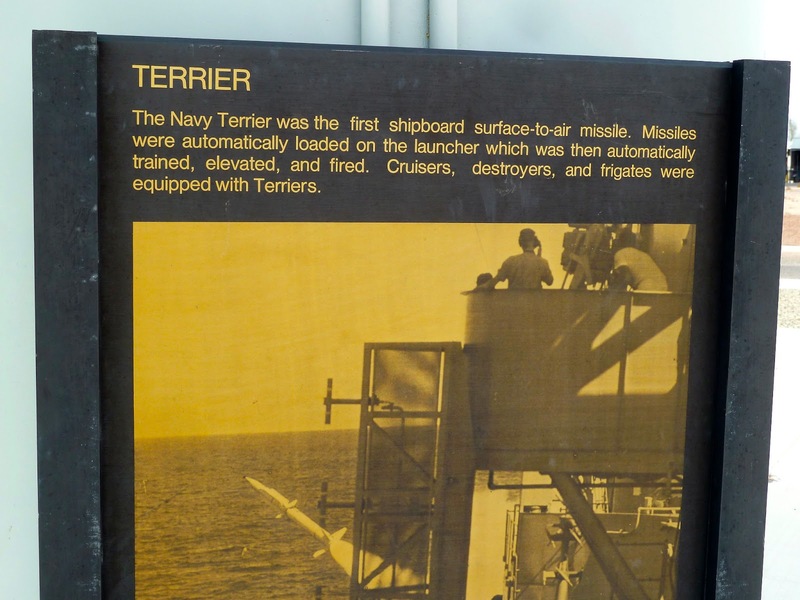 The museum presents exhibits and educational programs showing the historical and technical context of the nuclear age. They even have camps for children with emphasis on educating them on nuclear science. 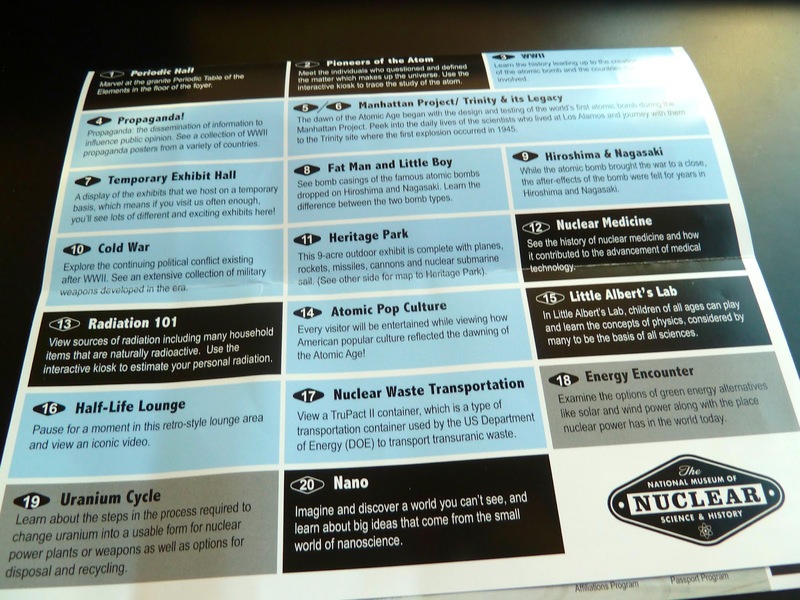 From there pictures of the pioneers of the atom with interactive kiosks. 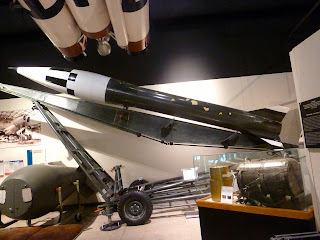 In all there are 18 exhibit halls plus the outside Heritage Park featuring vintage planes and missiles. 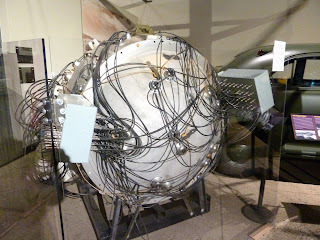 For those interested in Nuclear Science, suggest this visit.